BANGLADESH. Dhaka. 2010. 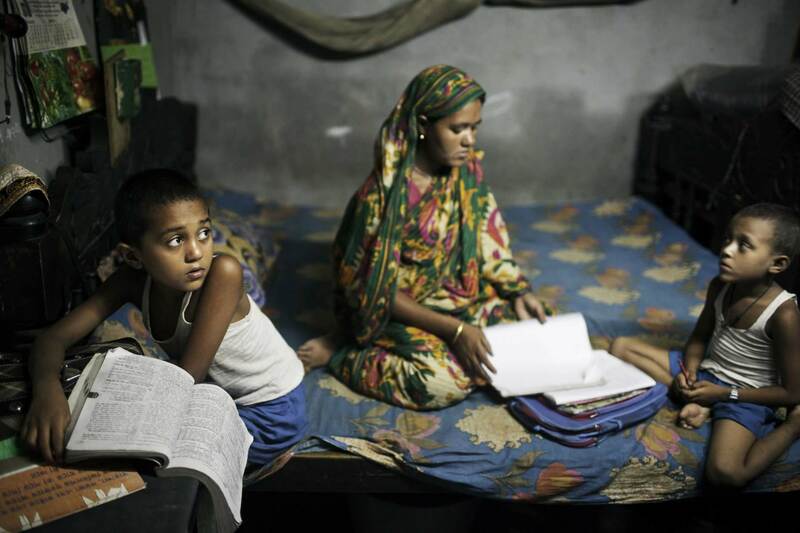 In Korail slum, environmental refugees Mrs Mahmoda Aktar and her two sons do school homework in the evening. The family came from Borguna in the south of Bangladesh and eft after cyclone Aila destroyed their house.